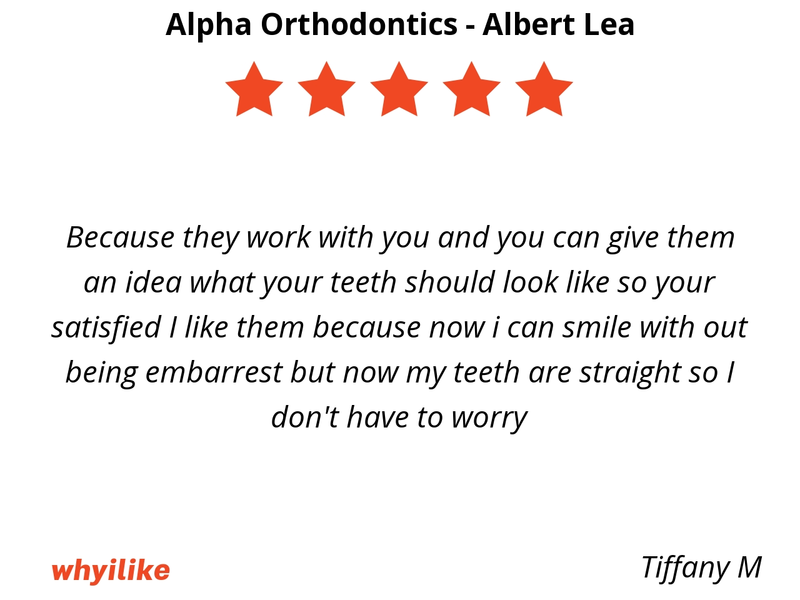 At Alpha Orthodontics, we understand the importance of a great healthy smile, which is why we strive to create beautiful smiles for every single patient. 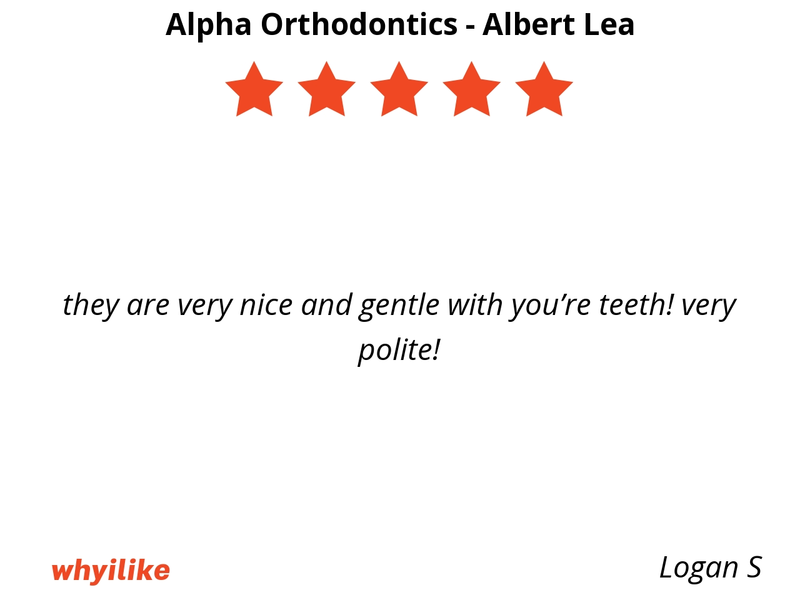 they are very nice and gentle with you’re teeth! very polite! 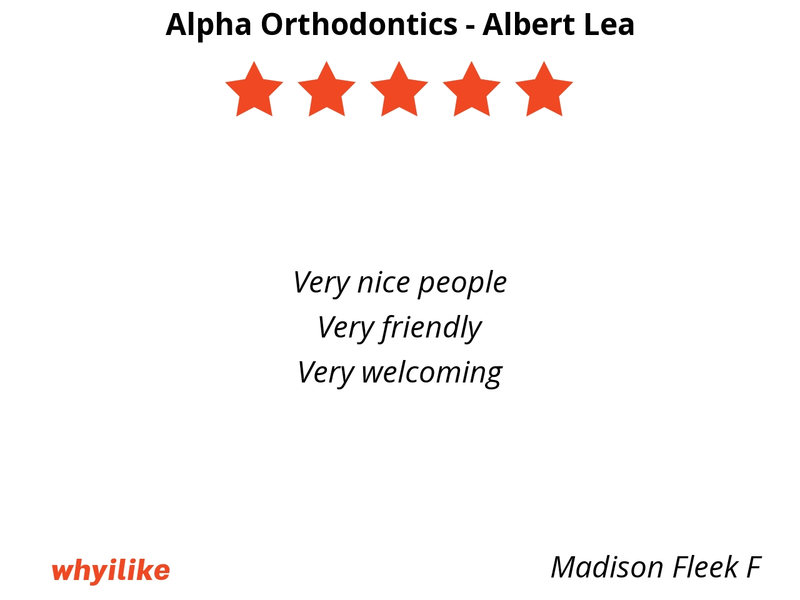 I like Alpha Orthodantics because all of the workers are super nice and have your best smile in mind they want you to have the best smile you can have. 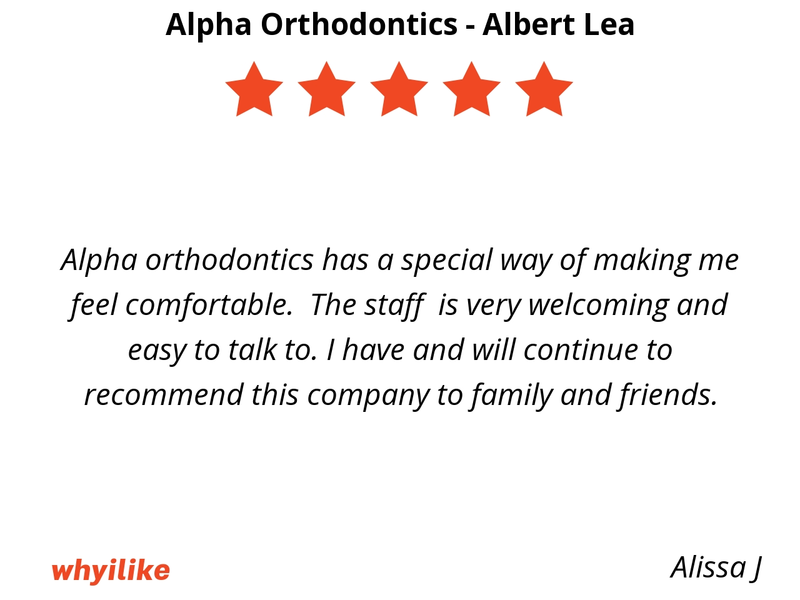 Alpha orthodontics has a special way of making me feel comfortable. The staff is very welcoming and easy to talk to. I have and will continue to recommend this company to family and friends. 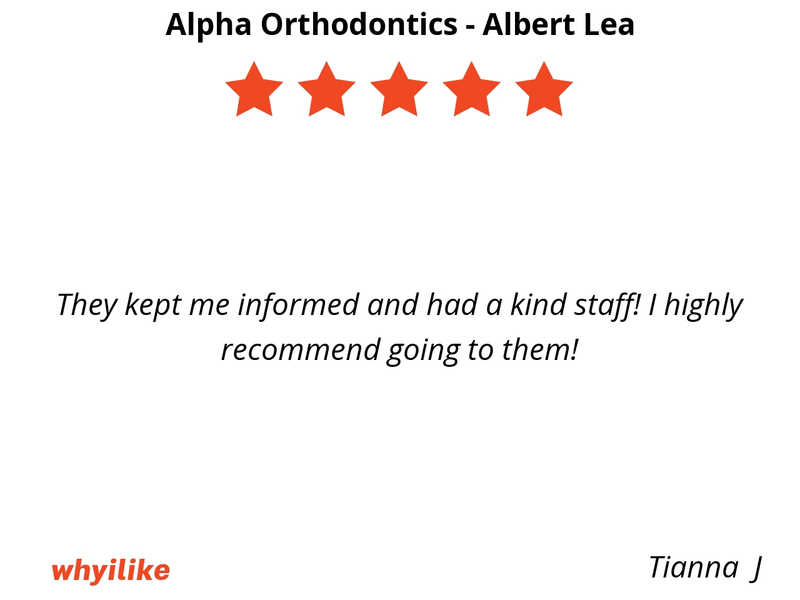 I like Alpha Orthidontics in Albert Lea because they were the first to offer me Invisalign. 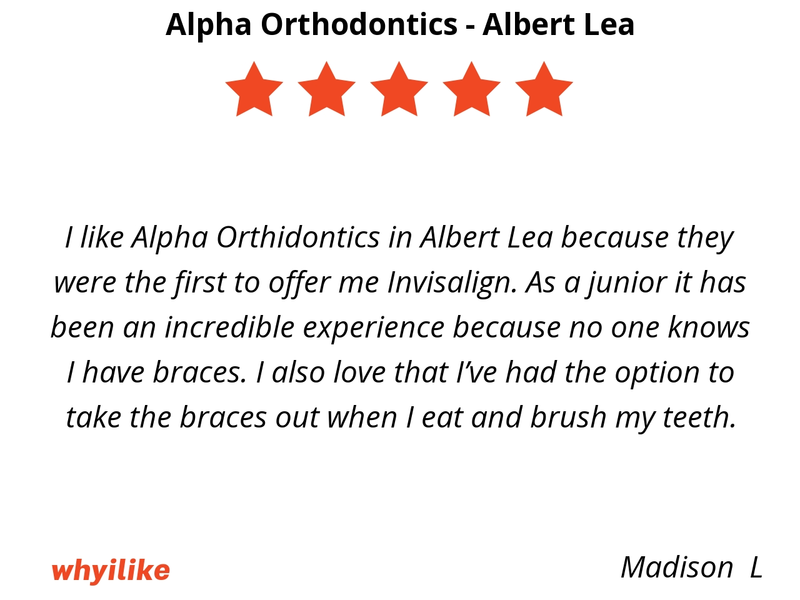 As a junior it has been an incredible experience because no one knows I have braces. I also love that I’ve had the option to take the braces out when I eat and brush my teeth. 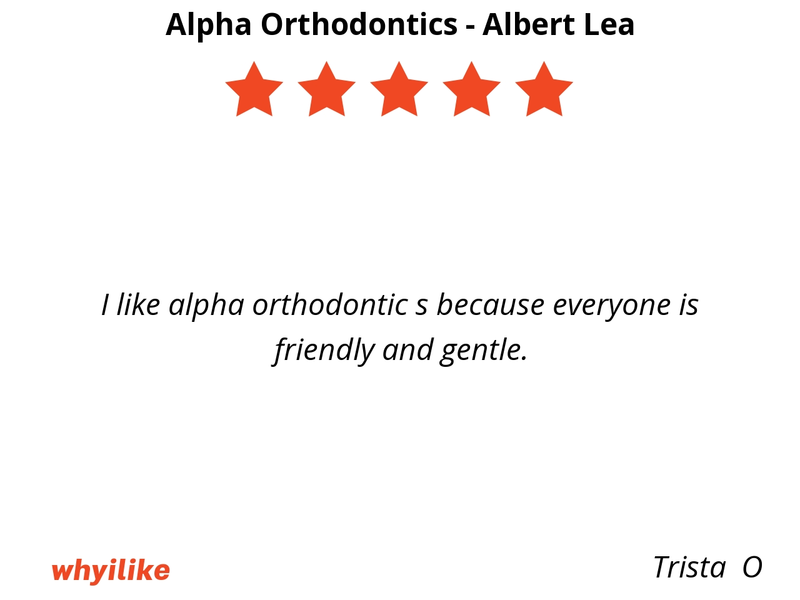 I like alpha orthodontic s because everyone is friendly and gentle. 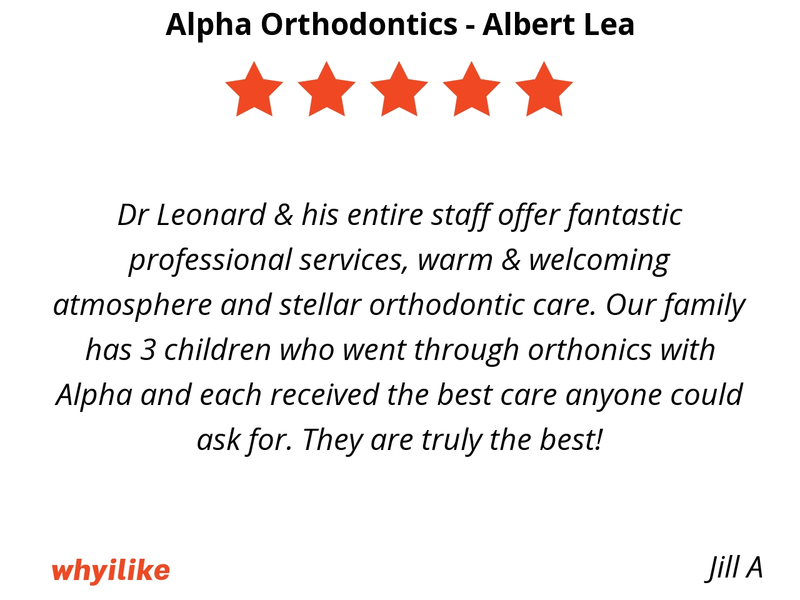 Dr Leonard & his entire staff offer fantastic professional services, warm & welcoming atmosphere and stellar orthodontic care. 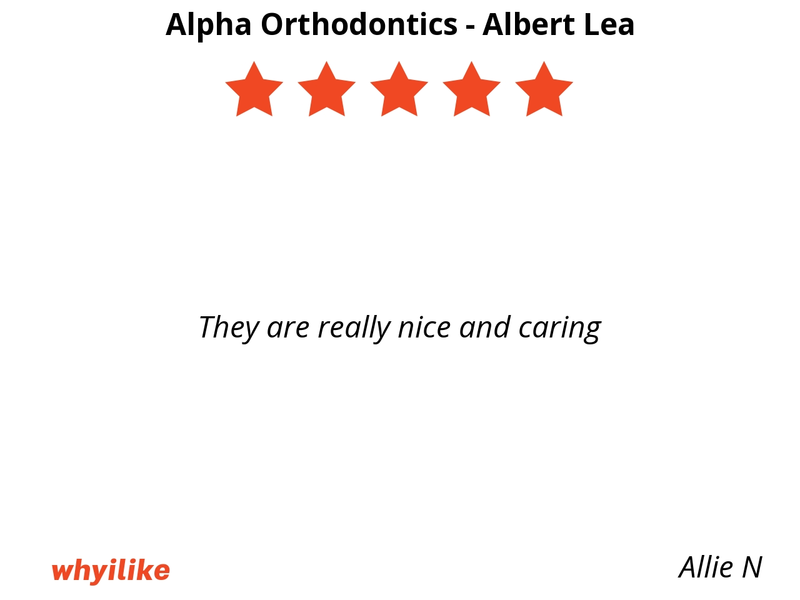 Our family has 3 children who went through orthonics with Alpha and each received the best care anyone could ask for. They are truly the best! 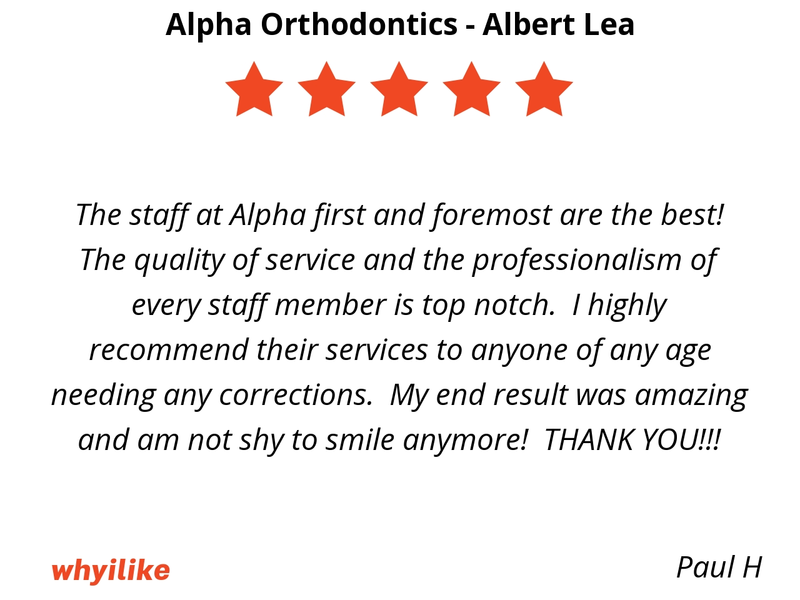 The staff at Alpha first and foremost are the best! 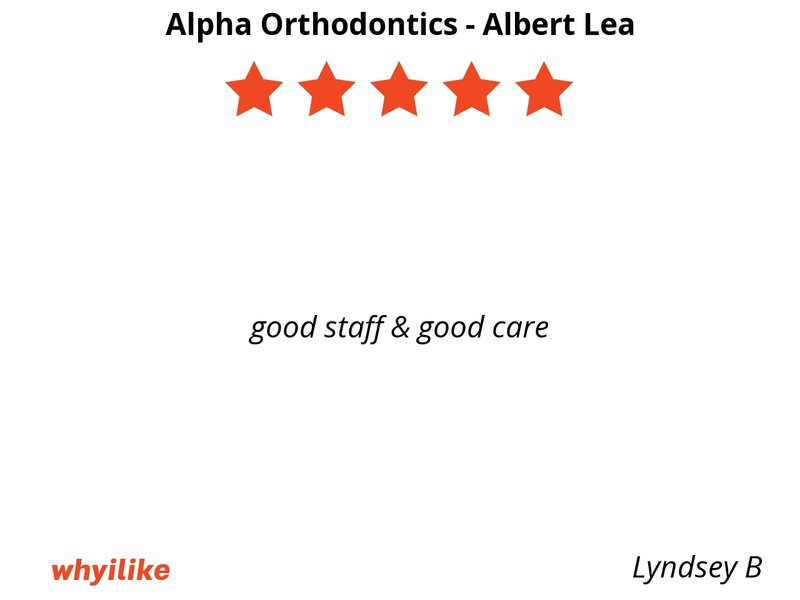 The quality of service and the professionalism of every staff member is top notch. I highly recommend their services to anyone of any age needing any corrections. My end result was amazing and am not shy to smile anymore! THANK YOU!!! 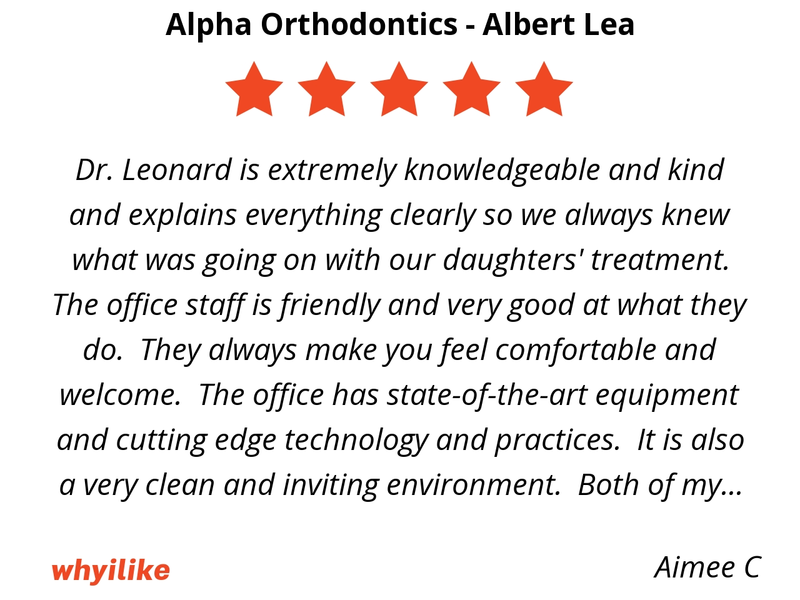 Dr. Leonard is extremely knowledgeable and kind and explains everything clearly so we always knew what was going on with our daughters' treatment. The office staff is friendly and very good at what they do. They always make you feel comfortable and welcome. The office has state-of-the-art equipment and cutting edge technology and practices. It is also a very clean and inviting environment. Both of my children have beautiful, straight teeth because of Dr. Leonard and his team. 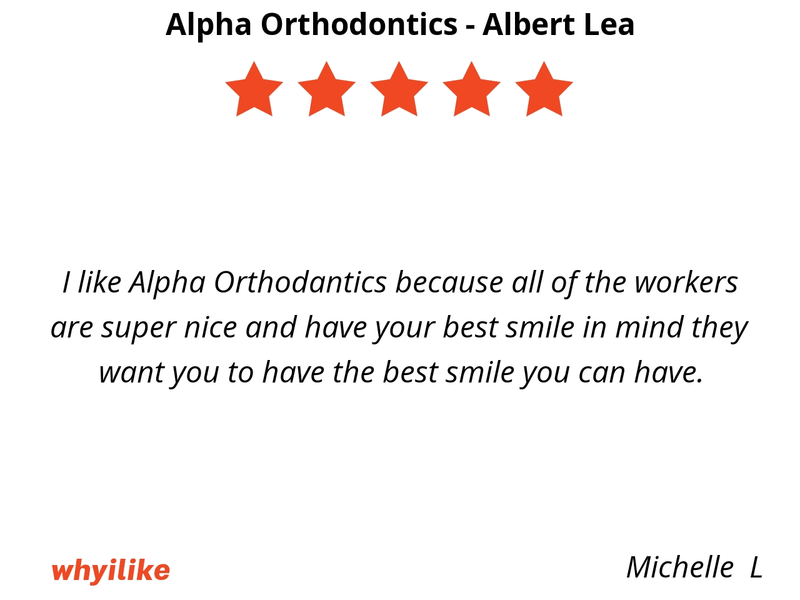 I would highly recommend Dr. Leonard and Alpha Orthodontics to anyone who needs orthodontia treatment. They kept me informed and had a kind staff! I highly recommend going to them! Everyone was always very nice and professional to me and my family and they were very clean.